I never thought I would find myself regaling my family and friends with tales of apple seeds, tulip mania and the merits of marijuana around the dinner table. I never thought I would chat with friends over a glass of wine about Prohibition, cider production and Johnny Appleseed. 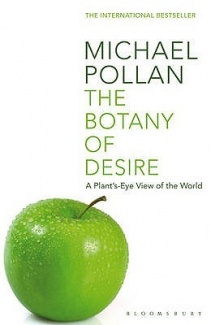 The Botany of Desire is more than a simple discussion about four common plants and their relationship to human beings. It's about the impact we've had on each other - how we've adapted to the plant and how it has adapted to us. We meet the apple, the tulip, marijuana and the humble potato. It sounds scientific, and it is, but mainly it's just plain fascinating. There are times within each of the four sections where Pollan suddenly shines out as a master storyteller. His language soars to new heights and for a brief while I forget that I'm reading a non-fiction book about the cultivation of food and its impact on the environment, humans and history. For a moment I'm spellbound by story! Try it; you wont be disappointed. Thanks Louise I hadn't realised they had made a series of this - what a great idea...I'll check it out. I have this book on my shelf but haven't picked it up yet. Now I'm adding it to my TBR list! Thanks for the review.